over 5,000 schools across the U.S. The program is focused on helping schools produce students who will help the STEM industry. course which will begin in the second trimester of this year. Poway High, where it has been taught for about three years. Shop and Cabinet Making. The period and how many classes he will teach is, at the moment, undetermined. Peters has been teaching at MC for 18 years and is excited to be teaching MC’s new engineering course. idea for both the course and attending the training program was conveyed to Salo by Peters. experience in high school than just math and science classes,” Peters said. Peters has been working on the curriculum and finding all the supplies for the class projects over the summer. MC will be offering a Principles of Engineering 1-2 course next year. something new and enroll in the class. 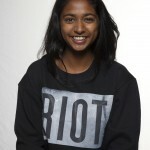 Priyanka is a senior and news editor for the MC SUN. She spends her time running long distances as a varsity cross country and track athlete, yet despite all her training, Priyanka has yet to conquer her mortal enemy: stairs.